Join the HPMG Analytics department as part of a dynamic team responsible for development and production support enabling our providers and administrators to be more effective in their jobs providing world class patient care. Gathers and documents client data requirements in various areas, such as clinical operations, new business models, market research, and operational readiness evaluations. Develops, designs, and facilitates the use of clinical and management decision making tools and analyses for operational improvements and problem resolution. Coordinates solution development including high-level requirements documents, cross-functional impact assessment, solution options, logical and physical designs. Performs quality assurance, unit and systems testing, as well as documentation of deliverables. Accountable for end-to-end project delivery – from intake and requirements through development, testing, training, and deployment. Creates and socializes best practices and guidelines, contributing to development of new processes and continuous improvement of existing procedures. Establishes and maintains long-term relationships with technical, business, and clinical stakeholders. Continually improves personal and team capacity to meet or exceed customer expectations. Bachelor’s degree in engineering, computer science, math, MIS or related field or equivalent experience. Master’s degree preferred. 2 years project management and healthcare data analysis experience required. Education may be substituted for experience. Solid understanding of release management, change management, application/project lifecycle management, software development life cycle. Strong verbal and written communication skills, including effective meeting management, preparing and presenting presentations, and project documentation. SQL querying and database programming experience is a plus. Electronic Health Record experience is a plus. Knowledge of contracting, NCQA and CMS regulatory requirements is a plus. **Multiple levels available depending on experience, background, and skill set. HPMG is committed to offering industry-leading benefits such as 100% company-sponsored, comprehensive medical and dental insurance for you and your family, life insurance, long-term care insurance, pension and profit sharing plans, retiree medical, paid time off, extended sick time, holidays, and more. 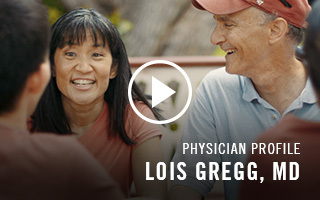 Hawaii Permanente Medical Group (HPMG) is the state's largest and most experienced multi-specialty group with over 600 physicians and providers supported by more than 100 administrative employees. Together, we are dedicated to providing the highest quality clinical care and services possible to Kaiser Permanente members in Hawaii. Many know Hawaii as an attractive tourist destination with beautiful scenery, sunny weather, friendly people, and a host of cultural and recreational opportunities. These elements, and others, make Hawaii an excellent place to live.